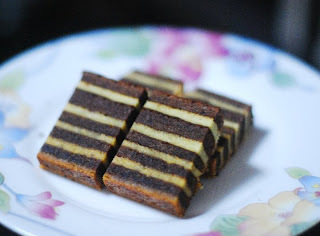 The original recipe you can get it from http://nccbananaweek.blogspot.com/2010/01/lapis-legit-pisang-by-ari.html but it is in bahasa Indonesia. I have it translated and I also made some changes to the ingredients. So this is my version. can u explain to me ya... y is grill not bake? We actually have a website now for Gim Hin Lee. It's www.bakeking.com.sg. Do check it out & also welcome to follow us on Facebook.